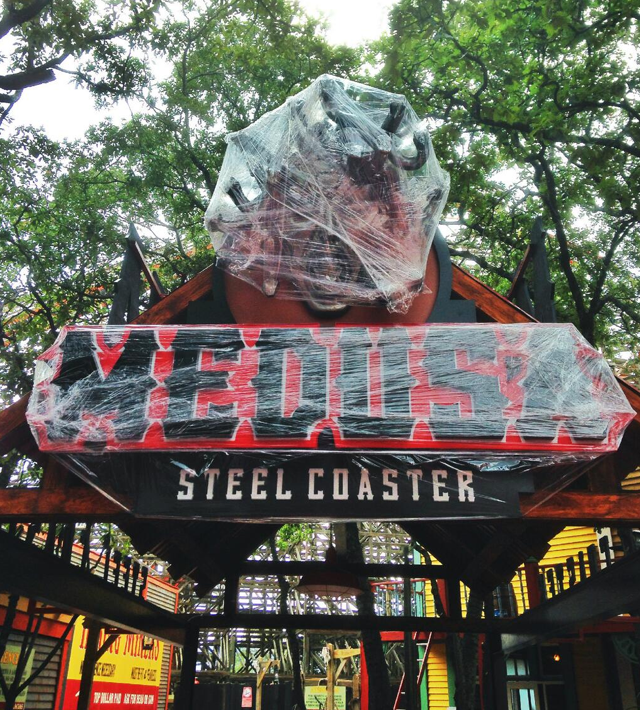 Another opening date has been announced for one of the class of 2014's most anticipated thrill rides, Six Flags Mexico's Medusa Steel Coaster. The park revealed that the ride will open on June 14th, less than a week from now! The first thing I noticed (aside from how loud it is) was the incredible speed that the trains have! Once they are off the first lift it looks like this one won't be letting up at all. I expected the final heartline inversion to be taken at a pretty leisurely pace, but that's not at all how things turned out. Between Medusa Steel Coaster's June 14th opening, and Six Flags Great America's Goliath just after, it's going to be an exciting time for both Rocky Mountain Construction and coaster fans.